When it comes to weddings, Mexico means “magic,” and the beauty of this magic is that it’s available to you no matter your wedding budget. These three options really bring the “wow” factor, thanks to impeccable service, dreamy onsite spas, top-rated gourmet restaurants, and other truly luxurious amenities. As some of the best accommodations in the world, they can really pamper a bride and her wedding party. These world-class resorts are actually a step or two above the “high-end” classification. If you’re looking for something a little more unique, however, consider hosting your celebration at a hacienda, like those offered through Starwood’s The Luxury Collection. Haciendas imbue an event with an old-world, romantic feel, and your photographer will truly be able to capture one-of-a-kind photos against backdrops of sun-faded brick walls and bougainvillea-framed archways. 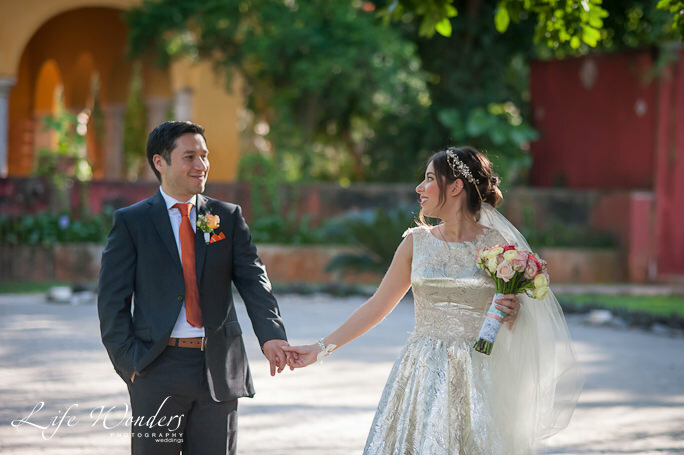 For a peek at hacienda wedding possibilities, have a look at the wedding I photographed for newlyweds Andrea and Luis at Hacienda Misne in Merida, Yucatan. 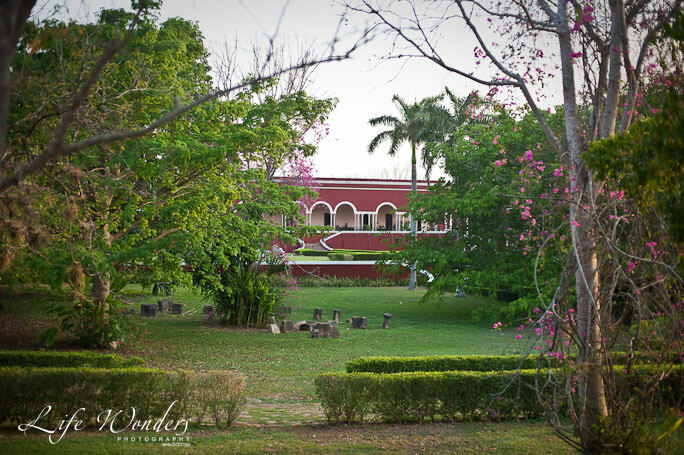 A hacienda provides a stunning, dramatic backdrop for your elegant wedding. Location, though, is just one factor in a splurge-worthy celebration. To really bring your luxurious destination wedding vision to life, I highly recommend working with a luxury wedding planner. 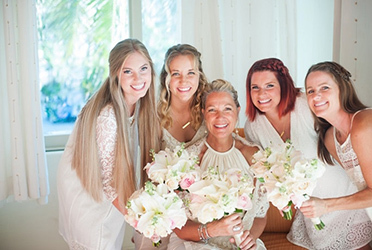 A planner can indulge your wildest wedding fantasies, and since they’re well connected to other wedding professionals, they know exactly who to reach out to so your wedding décor — from the lush flowers to the creative photo booth backdrop — impresses every guest. 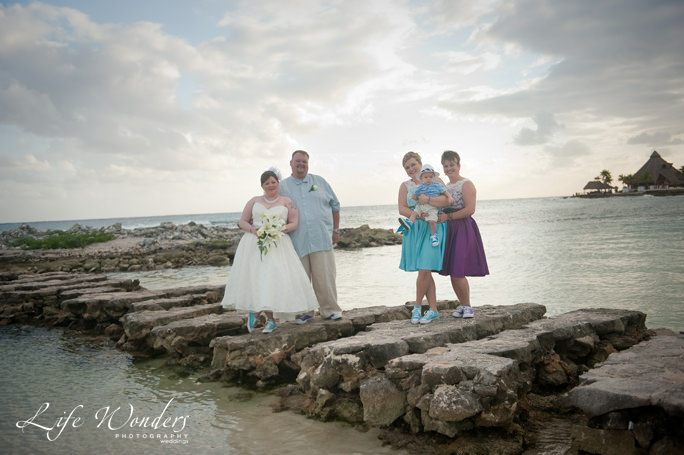 Working with a planner is also crucial if you’re planning an elaborate wedding in another destination, like Mexico, since you’ll need someone “on the ground” to coordinate with other vendors. 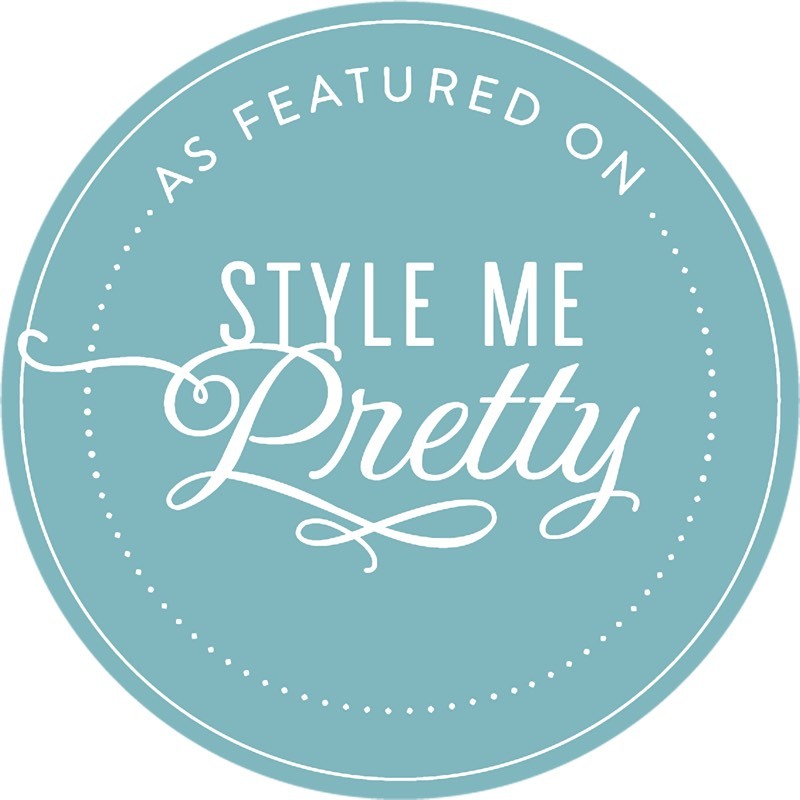 If you’d like some recommendations on top, trust-worthy wedding planners, please get in touch — I’d be happy to share my resources with you. These resorts combine the best of service and convenience with stunning architecture bolstered by Mexico’s jaw-dropping natural scenery. I would recommend working with both an off-resort wedding planner and a travel agent to create a truly unique, worry-free experience. 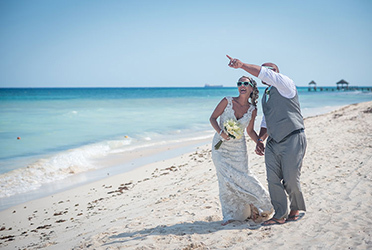 Another option is to work with a travel agent to take care of all the travel considerations for you and your guests, and then you can coordinate with the on-site wedding planner provided by the resort for all your wedding day details. 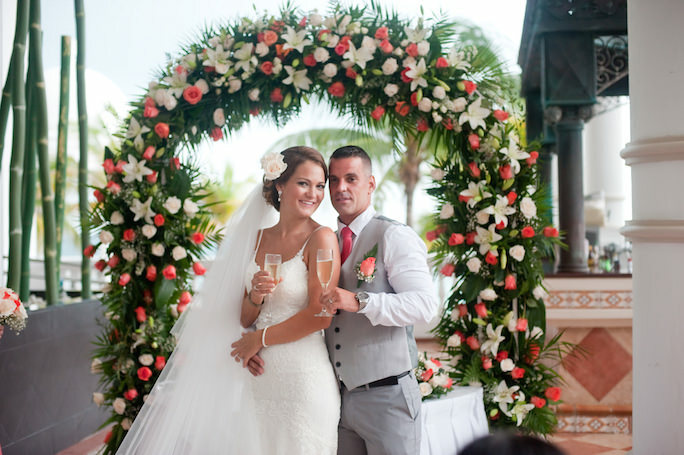 Dana and Vlad’s high-end resort wedding hit all the right notes. For all-inclusive resort weddings, look for thoughtful ways to make your wedding truly welcoming for guests to create an incredibly unique experience. Your warm hospitality is what guests will remember most! For example, work with your florist or wedding planner to install a decorative wall of flowers for an absolutely decadent photoshoot backdrop. Another hospitality must? Finding the perfect wedding favors for your guests, to show how much you appreciate their presence. Locally distilled tequila or mescal is always a big hit as favors; guests get to take home a little piece of Mexico with them, and this thoughtful wedding favor will last much longer than flowers (hopefully!). These boutique hotels are bursting with highly individual personalities and are ideal for wedding parties with as few as 10 guests to as many as 50. They are such an incredible option because you and your guests will get more personalized attention — you may even be able to rent out the entire hotel just for your event. Keep in mind that when working with smaller hotels and beach clubs, your best option is to rely on the services of a wedding coordinator and/or a good, experienced travel agent (get in touch if you’d like some recommendations). I love photographing weddings at these kinds of locations because the intimate venues translate so well into heartfelt moments captured on film. Plus, with a smaller guest list, you’ll be able to spend plenty of time during the wedding with each guest — rather than feeling like you’re just “making the rounds” to say hello! 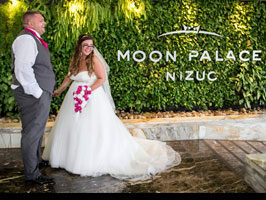 Boutique hotels also offer the best backdrop for truly unique touches that you can only get in Mexico, like utilizing a traditional shaman to bless the bride and groom during the wedding ceremony, or hosting the wedding in a dry cenote, which are natural limestone pits found throughout the Yucatan that were often used by Mayans for ceremonial purposes. Boutique hotel weddings are my favorite option because of the individualized attention that brides and their wedding guests receive, and how unique the venues are — so few brides know about them! If the endless opportunities of a boutique hotel wedding pique your interest and you’re working with a mid to high-range budget, then I’d encourage you to use the button at the bottom of this post to get in touch to learn more. 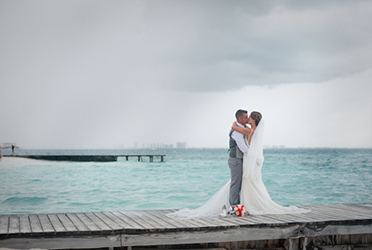 Contact me, I’ll connect you to a top wedding planner who can provide you with a quote for an incredibly personalized boutique hotel wedding that truly shows off Mexico’s unique heritage and breathtaking natural environment. Kate and Matt’s intimate beach wedding was packed with fun, like their colorful shoes! 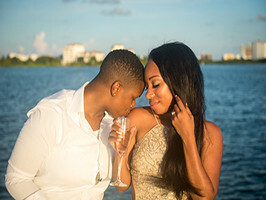 This is the perfect option for couples that want a luxurious escape, but not necessarily the details, planning, and costs of a traditional wedding. 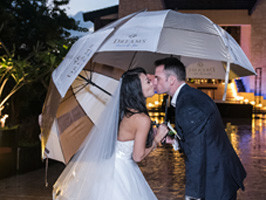 When it’s just the bride and groom and around 12 guests — or perhaps just a best man and maid of honor there to act as witnesses — you can concentrate on spending your budget on a stay at the resort or hotel of your dreams (like the incredible venues mentioned above in options two and three), rather than wedding décor, wedding planner fees, and other costs. 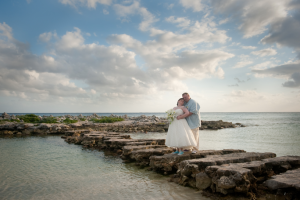 I’d still recommend using an off-resort wedding photographer to capture these intimate, lovely moments — read more about the pros and cons of resort and off-resort wedding photographer here. The best part? You won’t have to pack again for your honeymoon — you’re already there! No matter what budget you’re working with, the location of your destination wedding is extremely important; you want to choose an exotic location that suits your fancy, that’s easy for your guests to get to, and offers the chance to have your honeymoon in the same amazing location. 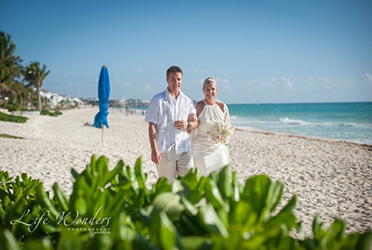 I often recommend the Cancun and Riviera Maya (Puerto Morelos, Playa del Carmen, Puerto Aventuras, Akumal and Tulum) areas because they boast a spectacular backdrop of deep turquoise waters, sandy white beaches, and they have fabulous weather all year long. Since there are so many resorts, beach clubs, boutique hotels, and hacienda options to choose from, please get in touch if you think you need some guidance — I’d love to help you on which venues best fit your needs. 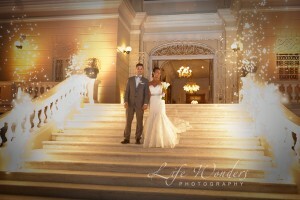 And finally, I’d say that the photographer is the one place you don’t want to skimp, no matter your wedding budget. Why? Because while the wedding food gets eaten and the flowers fade, the pictures that I take will last a lifetime — so you want to make sure every special moment is captured with incredible skill. I say this not in the hopes of getting your business, but because I want you to have an amazing, unique, and beautiful wedding that you, your family, and guests will reminisce about for years to come. Having captivating pictures to cherish will help you relive the incredibly special experience that you created.